6. Why You Joined Tri: I love running and coming into college I wanted to challenge myself physically and mentally with something new. Biking and swimming have been challenging but provide great motivation to continue and improve. 7. Favorite Tri Experience: I love how triathlon has brought me to an inspiring and fun group of people. It has fostered friendships I know will last my whole life. 8. Advice for New-Comers: Do not be afraid to ask for advice or help! When signing up for my first race last year, I thought it would be easy and I knew everything in order to do so. Being a runner, I only knew my run time and that was it. Honestly, I was a little confused when filling out the signup form and guessed a random swim time (it determines your start in the race). It turns out the time I put was very fast and ended up having to start the race with all of the pro swimmers all around me. As a very poor and slow swimmer, I was constantly in the way and pushed aside by the fast swimmers as I flailed my body in the water. 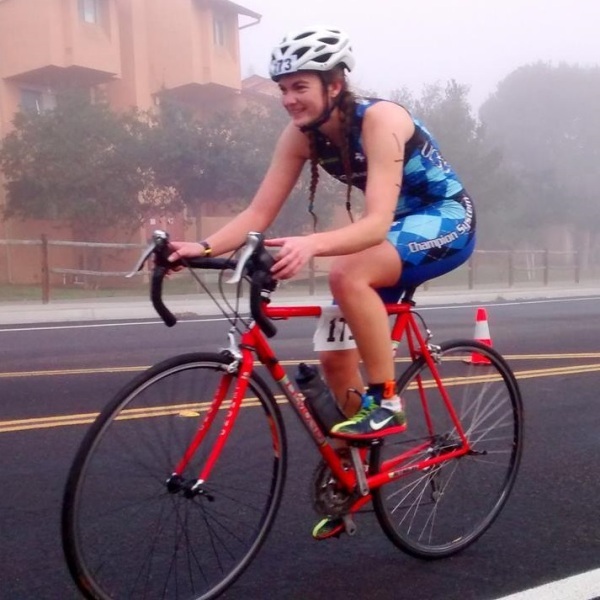 Overall, if you are not absolutely sure about anything when it comes to triathlon – whether it is just signing up for a race or not – please don’t be like me and ask someone for help! 9. Fun Fact: My two front teeth are fake.